In getting ready for my Japan trip in oh 11 days, I’ve been looking at what I can do get the most out of my phone whilst I’m away. This is my first trial at using the WordPress app for Android. 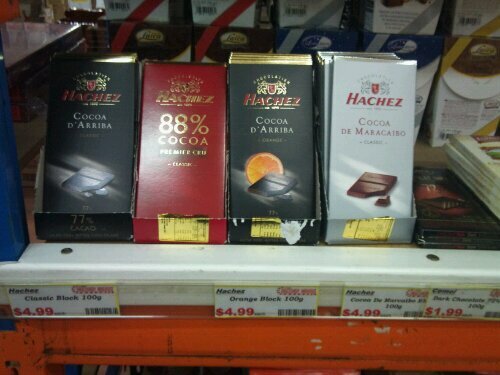 These chocolates are from Hachez in Bremen, I ate a lot of this chocolate when I was in Germany after finishing year 12. I was quite delighted to find them at the confectionery warehouse on the weekend. Macarons at last, a promise delivered. Where are you going to visit in Japan? We are going to go soon as well!